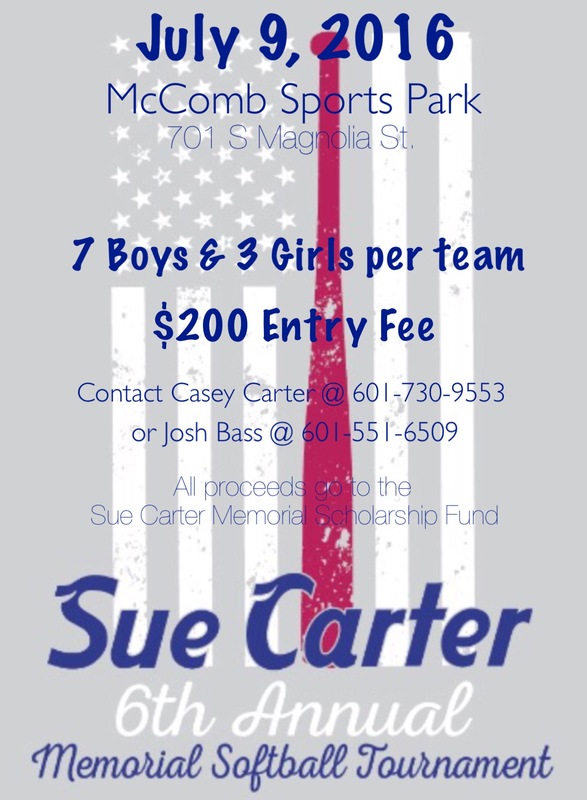 Sue Carter 6th Annual Memorial Softball Tournament will be on July 9, 2016 at McComb Sports Park. There is a $200 Entry Fee and must have 7 boys and 3 girls per team. 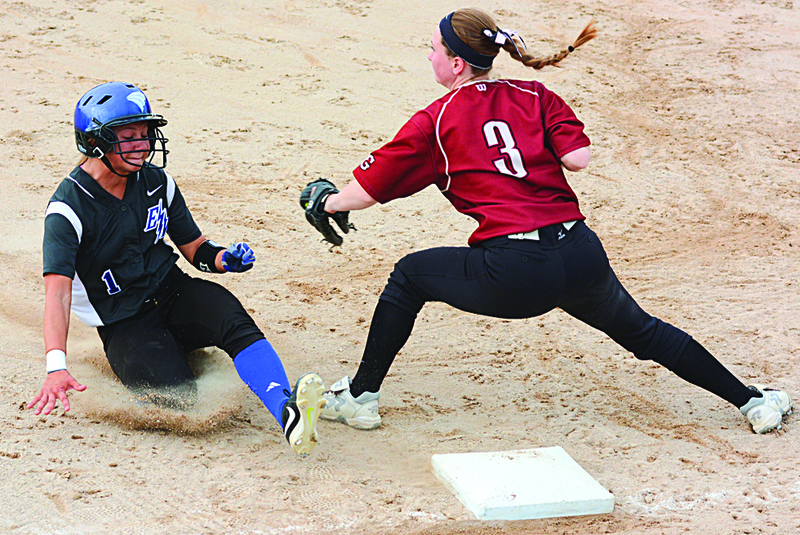 All proceeds will be going to the Sue Carter Memorial Scholarship Fund.